My only exception is if the "mistake" changes the meaning of the word, like what could happen with coronoid and coracoid. Where am I going with this? Check out my cup. That, my friends, is not a word. 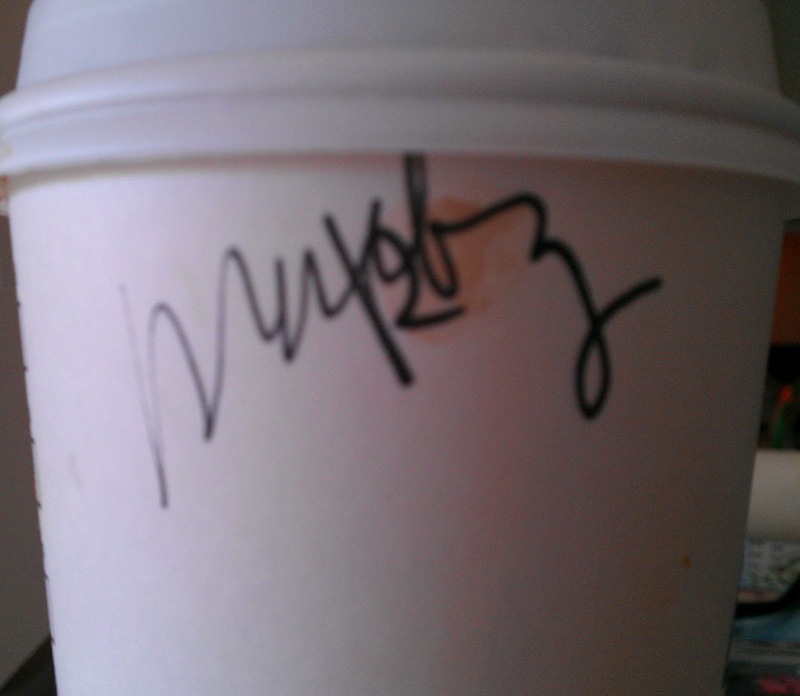 No points, Starbucks. The dude that called it out said "Mar-len-k-bee-z." So I guess, that's who I am today. Marlenkbyz. Well, I guess its better than "Barfi." OMG, that cracks me up! Blamo! S*%t is going to look so seasonal. 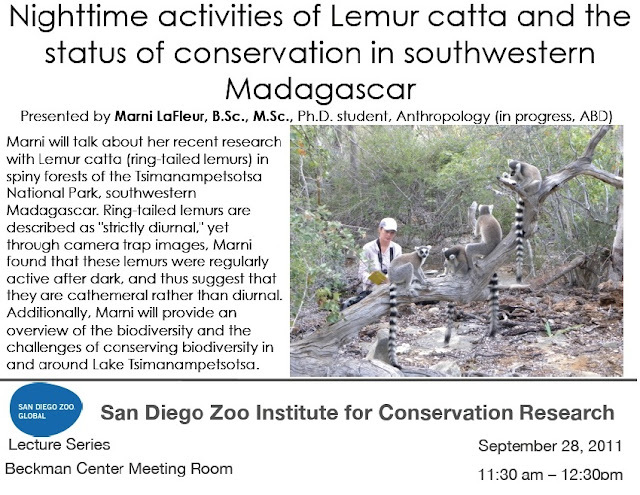 Also, in case you are in the San Diego area, next Wednesday I am giving a talk about lemurs and Madagascar at the San Diego Zoo Institute for Conservation Research. If you are thinking my blatant self-promotion is garish, don't, because I really only know like 3 people in San Diego and one of them is Kitty LaFleur. And she screams bloody murder when I put her in the car, so she isn't coming. Lastly, Ron and I are going to Costa Rica for Christmas. TOGETHER! How exciting! We rented a little house on the southern Caribbean coast. There literally will be monkeys in my back yard! Ok, happy average day length day to all. Costa Rica will be awesome! Are you helping teach a field course too? PS I am sure there are very good reasons. I just feel sad for non-solitary loners. There are two capuchins in there. They just don't like to hang out together- maybe because they are completely different species who would never live together in the wild. Maybe it's because a rescued baby capuchin and a former helper monkey just can't get along. Long story. The RTL lost her mom a few weeks ago. There is a pair at the zoo and she will move there soon.